Your journey to living pain-free begins at Nona Medical Arts. Nona Medical Arts (NMA) was founded by Dr. Richard Gayles, a recognized leader in the medical field of pain management and enthusiastic advocate of regenerative medicine. Armed with the belief that healing begins when the mind, body and spirit are unified, Dr. Gayles created NMA with the knowledge that pain can be managed, if not completely eliminated, using the body’s natural healing resources without the need of invasive surgery and daily use of medication. 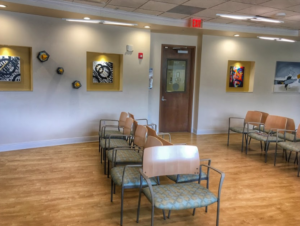 Nona Medical Arts is a collaboration of pain management and wellness experts who are devoted to your overall well-being, both physical and emotional. This collaboration of experts allows Nona Medical Arts the ability to provide the patient with integrated, cutting edge treatments to pain, and comprehensive rehabilitation and psychological services. Upon evaluation and diagnosis, we work together to develop a customized treatment plan to get you on the road to a healthy, pain-free life. Regardless of your pain, whether it be a sporting injury, natural aging or an accident, consider our team of experts your own personal wellness consultants, giving you the power to heal and a solid path to good health. Medical Arts is the practice of applying a unique, multi-disciplinary model consisting of pain treatment, psychology, physical therapy and a fellowship trained physician to holistically treat pained conditions in the body. Put more simply, it’s the art of combining different therapeutic methods to assist the body’s natural healing process both mentally and physically. 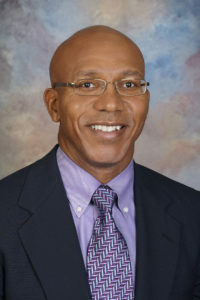 Dr. Richard Gayles brings a wealth of training and experience to Nona Medical Arts. He received a Bachelor of Science in Psychobiology from the University of Michigan in 1987 and his Doctor of Medicine in 1991 at the University of Michigan’s School of Medicine. After graduation, Richard completed an anesthesia residency in the Department of Anesthesiology and Critical Care Medicine at Johns Hopkins Hospital in Maryland. Dr. Gayles obtained further clinical experience in anesthesiology and critical care at St. Bartholomew’s Hospital in London, England as a visiting registrar. He subsequently completed a Chronic Pain Fellowship at the Cleveland Clinic Foundation in Ohio, where he was awarded the “Fellow of the Year Award” in June of 1997. Dr. Gayles is board certified in Anesthesiology and has been awarded certification for pain medicine by the American Board of Anesthesiology, American Board of Pain Medicine, and American Academy of Pain Management. In November of 2016 Dr. Gayles is volunteer assistant professor at UCF College of Medicine.